No one complained, and someone said they liked the last one, so here is the 4th issue of FINISHING NEWS! 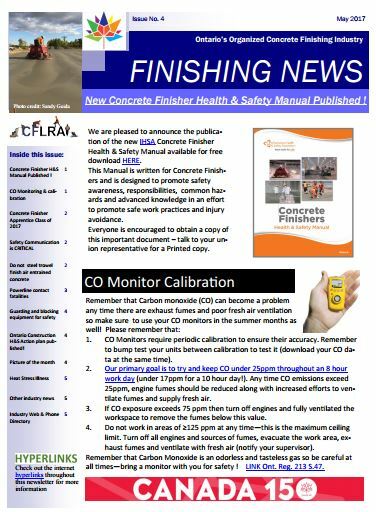 Please submit your questions, suggestions or concerns for future editions of FINISHING NEWS by e-mail:CLICK HERE. Please submit your questions, suggestions or concerns about Safety by e-mail:CLICK HERE. Until our next issue: 1) be safe, 2) take pride in your work and 3) help each other do the first two things!